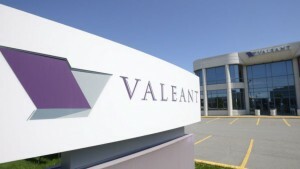 Valeant Pharmaceuticals International a maker of drugs, whose practices of aggressive pricing have helped it become a lightning rod for much criticism, announced on Friday it was ending a relationship it had with a pharmacy it used to bolster sales of its most expensive drugs. Valeant, which is based in Quebec, said it was severing all its ties with Philidor Rx Services and Philidor informed Valeant it would shut its operations as quickly as possible. The move comes after the largest three drug benefit managers in the U.S. – Express Scripts, OptumRx and CVS Health – said Thursday they would stop paying for any drugs that Philidor dispensed. Question were raised about the practice of Valeant encouraging doctors to fill prescriptions by Philidor instead of independent pharmacies making it more difficult for insurers and pharmacies to substitute a drug that was less expensive. Analysts were critical arguing that Philidor and its related units could have been used by the Canadian pharmaceutical to inflate sales and to drive up the price of its stock. That was denied by Valeant. Nonetheless, a relationship between the two raised a number of questions about the accounting practice of Valeant since the company had disclosed its ties to Philidor only following an investigation by a reporter found the tie between the two. Valeant bought its option last year to acquire Philidor. Under CEO Michael Pearson, Valeant has risen from complete obscurity in only a couple of years to become one of the major forces in the industry. Pearson dispensed with the traditional research in the industry and focused instead on the buying of drugs that already exist and aggressively increasing prices. One example was that it acquired a drug for diabetes known as Glumetza, when taking over Salix Pharmaceuticals. He increased the price by 800%. The tactics have put it under the scrutiny of authorities in the U.S.